Alia Bhatt and her sartorial files are causing quite the buzz yet again. With Gully Boy promotions in full swing, the actress sported all tones of fashion, be it edgy and spunky or feminine and ethereal! Sporting ensembles from Jonathan Simkai and Giuseppe Di Morabito, the actress kickstarted the promotions of her upcoming and also schooled us on what to expect from her future #OOTDs. Alia wore this Johanna Ortiz jumpsuit for one of the promotional events. We love this magical blend of a classic into a contemporary silhouette. Sticking to basics, Alia wore this feminine Annakiki dress for another day at promotions. She also sported this Safiyaa power-suit for a day of promotions in Delhi and we can’t help ourselves but scream ‘Bosslady’! 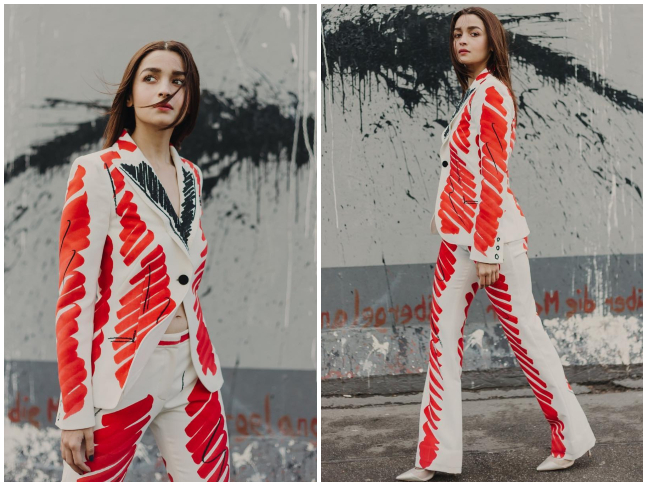 The actress opted for this Fyodor Golan suit for her appearance on a television show and we cannot miss the rockstar vibes enveloping us. Gully gurl, you’re killing it! Confession: We love this David Koma dress on Alia and we cannot lie! Paired with knee-high boots and ultra-glam hair, this look is an absolute banger…ARCHIVED! 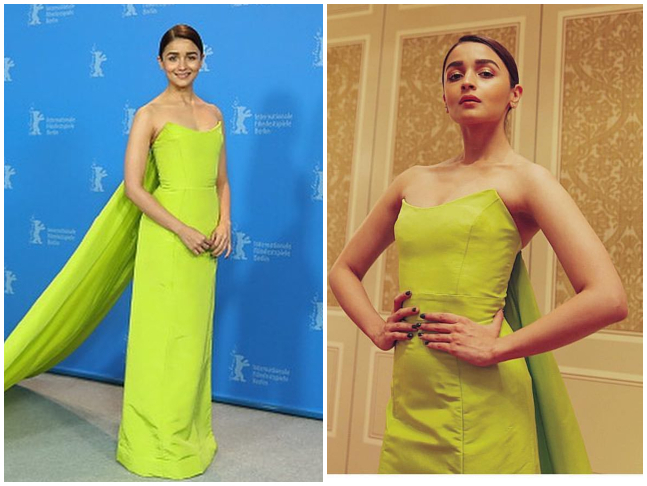 For the screening of her film at Berlinale, the actress wore this neon Prabal Gurung number. Making them eyes pop and how! For days at the press-con, the actress opted for this Moschino suit and a blue Ralph Lauren sequin dress. Channeling the summer vibe, the Gully Boy actress stepped out wearing this Stella McCartney dress for a day at the promotions and we’re saving this look for the upcoming season. She also spored this Nanushka dress that we absolutely adore. Love love love! Fresh, feminine and edgy, we love Alia’s Gully Boy look book. What about you?